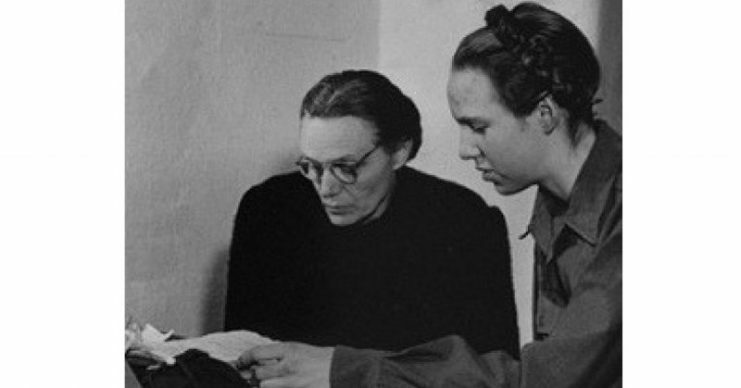 Described as the dazzling Nazi princess, Gudrun Burwitz was noted as a major proponent of Nazism. 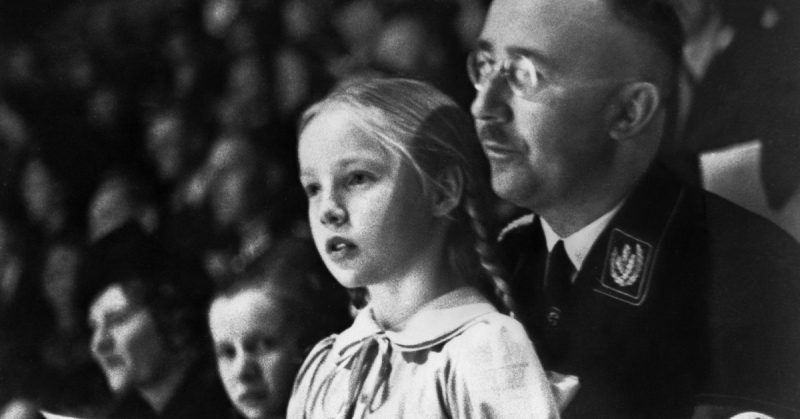 Gudrun Burwitz, the daughter of top Nazi, Heinrich Himmler, was employed by West Germany’s foreign intelligence agency (BND) in the 1960s. The revelation was first reported after Gudrum’s death at age 88 by Bild, a German newspaper. Heinrich Himmler was the architect of the “Final Solution” which murdered over six millions Jews during the Holocaust. While billions of people remember him, there are few that admire him – one of those was his daughter. Burwitz revered her Father’s work. 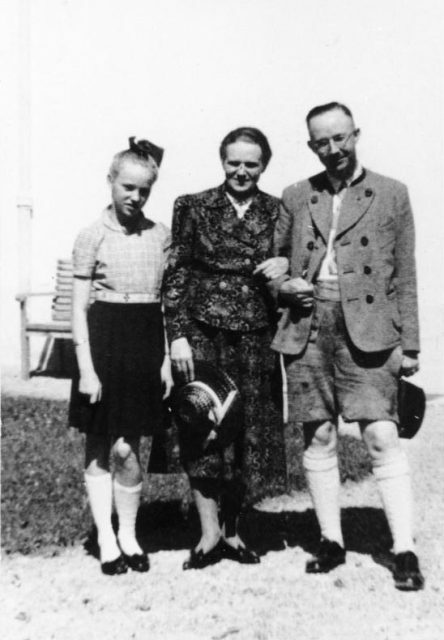 Even after Himmler killed himself in custody in 1945, Burwitz did not renounce her Father nor Nazism. She was a teenager when the war ended. Even after she was released from custody in 1946 after testifying in the Nuremberg trials, she remained active throughout her life. 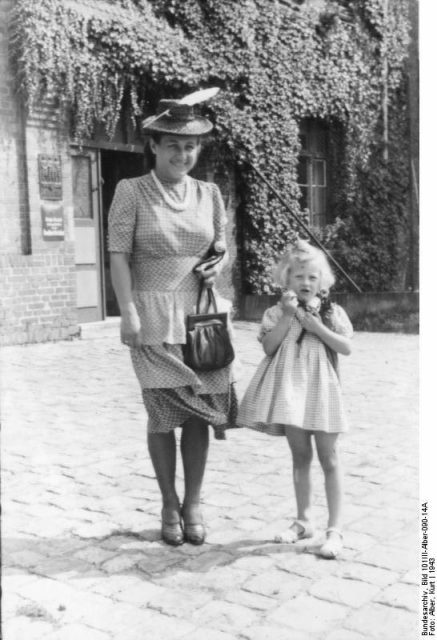 Burwitz not only defended her father’s reputation but helped defend SS (Schutzstaffel) members and Nazi criminals. Burwitz dedicated her life in aiding surviving Nazis evade the justice system. Burwitz was reported to be a member of the Stille Hilfe (Silent Aid), a secret group known to provide legal assistance and financial support to former SS members when they were arrested for crimes against humanity. Here are some of the notable people that she helped under Still Hilfe, the SS (Schutzstaffel) organization that aides and provided assistance to its fugitive and arrested members. Samuel Kunz – a Nazi guard at the Belzec death camp who is believed to be involved in the killing of more that 400 thousand people. Anton Malloth – believed to be a sadistic Nazi supervisor at the Theresienstadt camp in Czechoslovakia. He was noted for beating 100 prisoners to death. He escaped justice for over 50 years, but was caught in Austria in 2000 and was sentenced to death. Klaus Barbie – noted for the ruthless and merciless tortuting of the French prisoners in Lyon thus the name the Butcher of Lyon. He became a US and Bolivian intelligence operative after the war. Klaas Faber – was a Dutch-German firing squad commander. Along with his brother, Peter Faber, they have been noted as two of the worst criminals of the SS. They are believed to have murdered over 10 innocent civilians including Anne Frank in the Bergen-Belsen concentration camp. John Demjanjuk – a Ukranian POW turned Nazi soldier. He is believed to have assisted in the murder of over 27 thousand prisoners. He is also noted for being sadistic and imposed savage violence on camp prisoners. Bild, reported about Burwitz’s post-war involvement with BND (Bundesnachrichtendienst). She worked as a secretary at the BND headquarters in Pullach from the year 1961-1963 under Reinhard Gehlen, a former Nazi military intelligence commander. After the work with BND, she remained prominent in extreme politics. Because of her active participation in Stille Hilfe, she was called “Princess of Nazism” in some regions. She was also known to support and attend neo-Nazis events. The agency normally does not disclose employee information but is making Gudrun Burwitz an exception since she is no longer alive. The act is said to be part of the process of critically reassessing its history.